Roland Garros is one of the most important clay tennis tournaments in the world, if not the most. It's part of the Grand Slam together with the Australian Open, the US Open, and Wimbledon. 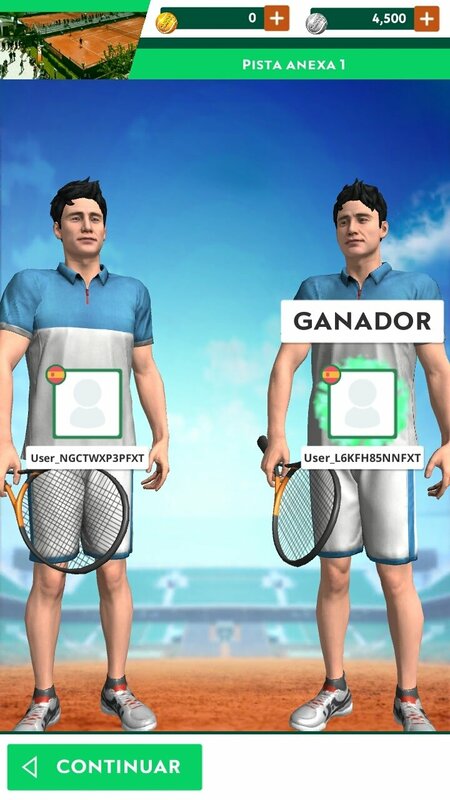 Among the champions of Roland Garros, we have to mention tennis players of the likes of Rafael Nadal, Novak Djokovic, Roger Federer or Andre Agassi, amongst many other tennis legends (Lendl, Borg, Vilas, Nastase, Santana…). Prove that you can also make it to the top of the ATP world rankings. Well, this Roland-Garros Tennis Champions is a game that will take us to the clay courts of Paris to compete in this tournament. So if you enjoyed the 2016 or 2017 edition, download it right now to your smartphone and make your rivals run all over the court until you defeat them. 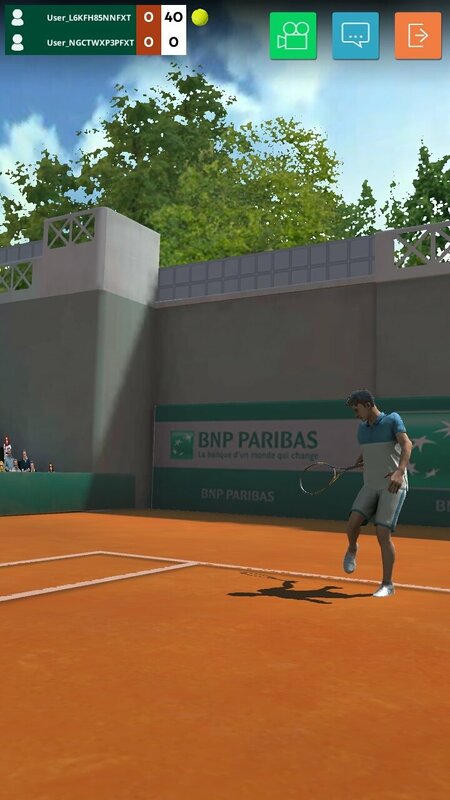 The courts have been faithfully recreated in 3D to give the game more realism whilst they allow us to play against other users from all over the world thanks to the title's online multiplayer mode. 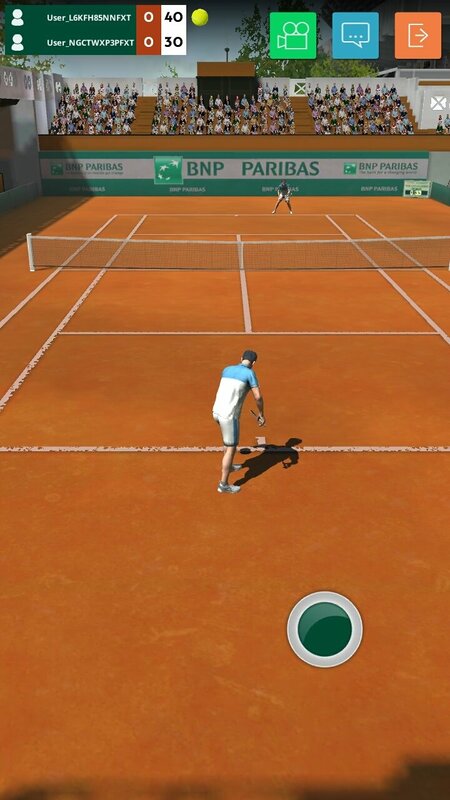 These matches can be played in real time, also accepting other game modes in which we can prove all our tennis skills. Play matches against random rivals. Access the practice mode to improve your skills. Play in different mini games. Customize your player with different equipment. 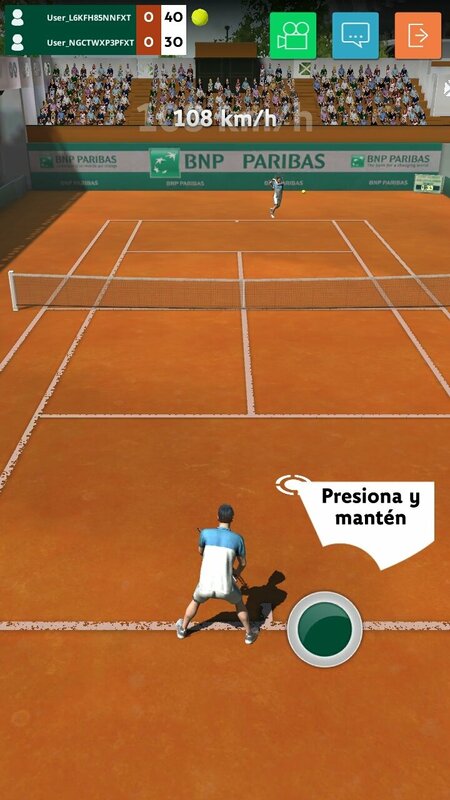 Simple controls to manage your tennis player. 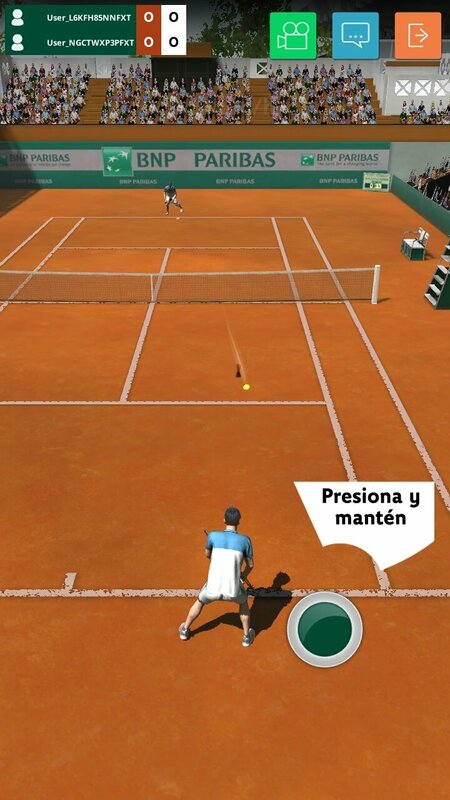 So, if you're into tennis and you want to get hold of a decent game for your smartphone or tablet, start downloading the APK of this simulator. However, it would have been even better if its developers would have remembered that women's tennis also exists. Or don't Serena Williams, Steffi Graf, Monica Seles or Sharapova know how to play?